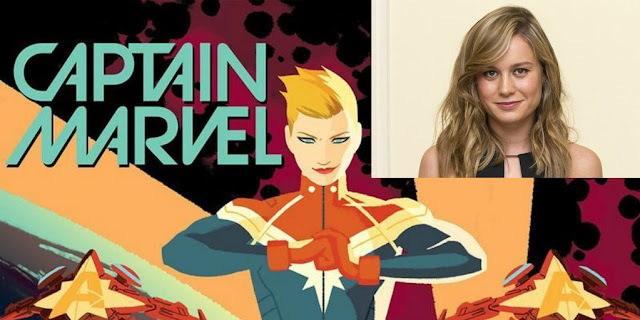 Marvel Studio's first and only planned movie with a female lead, Captain Marvel, has their hearts set on Oscar-winner Brie Larson. Variety is reporting that Larson "is in early talks to play Captain Marvel, one of Marvel’s most popular female superheroes, in an upcoming standalone film. It’s unknown where negotiations stand, but sources have told Variety that Larson is their first choice, and that she’s leaning toward playing the part." If there's one thing that might irk some fans is the fact that Danvers is usually depicted as a seasoned pilot whose seen some stuff and tends to be aged in her 30's. The 26-year old Larson has the unquestionable acting chops but is she too young for the role? It probably won't matter in the long run as getting an actress of her caliber overrules everything else.